It was a perfect day Saturday to journal this verse. We all need the refreshing rain! Lord, send down the rain! Until next time!! Have a blessed week! Life is rapidly changing for pre-teen shoe spokesperson Riley Mae. After escaping near disaster at the top of Half Dome in Yosemite, Riley, her family, and her Swiftriver co-workers fly to a secret hideout in Northwest Montana. But when the plane’s malfunction leads to a rough landing, Riley wants nothing more than to return to friends, church, and home. Then she meets Sunday, a ten-year-old boy from Kenya who wrestles fish, battles bears, and tackles leukemia. While her rigorous raft training for the marketing campaign brings a few bumps and bruises, Riley now feels up for the challenge. Everything looks as bright as the glistening fool’s gold on her “Ready Eddy” river sandals, but everything is not as it seems. 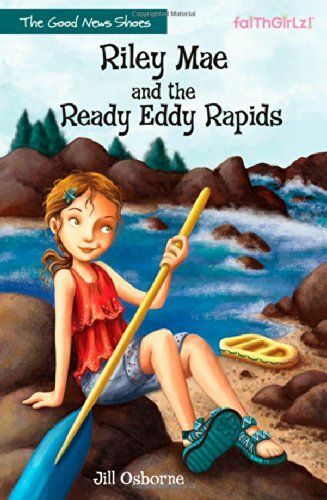 Riley soon learns that life is as unpredictable as the raging waters, which, if she is not careful, will sweep her away and into the hands of an enemy who is even closer than she thinks. I chose this book to ready because I have niece's that are avid readers and I wanted to find books that are interesting, but wholesome. Another reason this book caught my attention is the location of Yosemite. I live near Yosemite and it is pretty cool to read about a national landmark in California, and a place I have been to. I was very pleased with the book. The storyline kept your attention and you also learned an awesome value that it is more to life than just yourself. There is a someone greater! I highly recommend this book for the teens out there. I am going recommend this book and the series to my niece's. This would be a great addition to your library.